We look after the assets of wealthy families, caring for you and future generations through our trustee services. We work with clients from a range of backgrounds, including entrepreneurs, those with inherited wealth, and families that live, or have assets spread across, international boundaries. A trust, recognised and protected by law, is an arrangement under which an individual, or company, transfers assets to another person to hold and manage for the benefit of others. In doing so we will gain an understanding of how you arrived at where you are today, and your aspirations for the future. There are often ancillary issues to investigate at the same time, and the trust plan may form part of a wider tax or inheritance plan. Generally, we work with family advisers and local experts to produce a mix of expertise tailored to your individual or family requirements. DISCRETIONARY TRUST: the trustees have the power to choose who benefits, how much they receive, and when. INTEREST IN POSSESSION TRUST: the trustees must pay the trust income to named people for a specified period (usually life). The trust may terminate at the end of this period, or may continue as a Discretionary Trust. ACCUMULATION AND MAINTENANCE TRUST: often set up to look after children. The income, and perhaps capital, is used to assist with the maintenance of the child, by settling school fees, for example. Any surplus income is accumulated to the capital. The trust ends at a point when the child has become suitably "mature" - usually before the age of 25. EXPRESS TRUST: the terms of the trust are explicitly agreed between the settlor and the trustee. Most modern trusts are explicitly set down in a lengthy trust deed. IMPLIED TRUST: where the actions of the parties show a trust arises. An example might be a vendor holding a deposit for goods pending their receipt. The vendor may be considered to be trustee of the deposit in favour of the purchasers. CONSTRUCTIVE TRUST: sometimes the courts will impose a trust as a remedial mechanism for ensuring that a fair outcome arises. ASSET PROTECTION TRUST: in some cases the creation of a trust can be registered. Providing the settlor was solvent at the time, the courts will uphold the trust and shield its assets from the claims of future creditors. RETAINED POWERS TRUST: the settlor of a trust can sometimes retain powers over the assets. These might include powers of investment, but could include others. Where the trust is constructed together with a tax mitigation strategy, the retention of powers by the settlor may serve to negate tax benefits that could otherwise accrue. CHARITABLE TRUST: created where the objects are exclusively charitable. Gibraltar has its own registry of charitable trusts. NON-CHARITABLE PURPOSE TRUST: whilst trusts have traditionally been established for the benefit of individuals, the use of trusts in commercial transactions has seen the rise of trusts created for purposes rather than people. 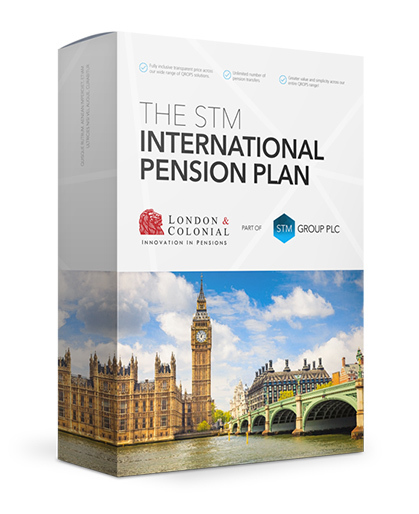 STM Group’s professional trustees are happy to work with your personal legal and tax advisors to ensure your trust meets your aspirations.